Tue Marshes – Chesapeake Chapter U.S.L.H.S. Originally called “Too’s Marshes” the Tue Marshes Lighthouse was built in 1875 at the entrance to the York River on the Goodwin Islands. 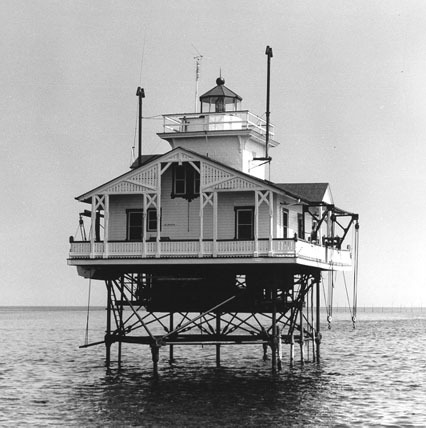 It was a square screwpile lighthouse and was built at a cost of $15,000. It had two additional fender piles, one on each of the ebb and flow sides of the structure for additional stability against ice flows.